A.I. 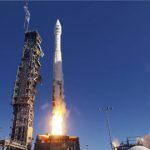 Solutions has secured a potential $387.6 million indefinite-delivery/indefinite-quantity contract to support launch of NASA and agency-sponsored payloads aboard commercial expendable launch vehicles. NASA said Thursday the Expendable Launch Vehicle Integrated Support 3 contract includes launch site engineering, launch vehicle and spacecraft ground processing, communication engineering and telemetry system maintenance and operations support for the Launch Services Program. The space agency noted that the ELVIS 3 contract has an 18-month base period worth $48.1 million, one option year and an additional seven award-term options. Work also covers LSP launch operations, NASA facility maintenance, update, modification, repair, design and construction services at Vandenberg Air Force Base in California.